Since its launch in 2005, digital tech publisher TechCrunch has grown both its audience and reach. But over those years, its appearance had gotten a little dusty—its last redesign was in 2013. This week, the site unveiled a new design, promising a cleaner reading and ad experience, in addition to faster loading pages and seamless navigation. It notes on its site that its staff of three engineers found it difficult to keep up over the years. 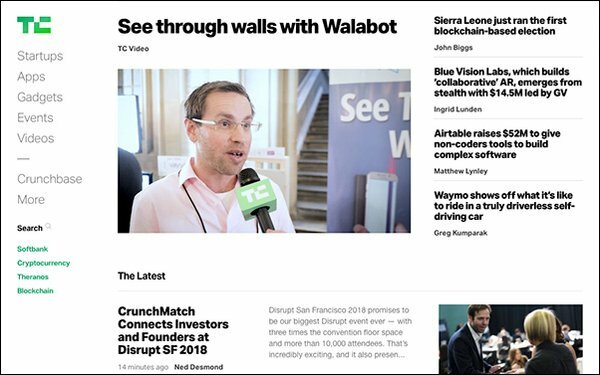 Collaborating with digital design and development firm Work & Co, TechCrunch wanted to offer something sleeker to its audience, as well as rein in the many variations of “TechCrunch green” that littered the site. In February, the publisher allowed 10% of its readers to test out the new site, built from the ground up rather than modifying the existing version. “This presented a unique challenge and opportunity. We wanted to build a future foundation that would be flexible enough to elegantly accommodate things we haven’t even thought of yet, but solid enough to stand the test of time,” editor Nicole Wilke stated in a blogpost on the site. The tech site wanted to ensure readers could access the main feed easily each time they navigated away, leading to pageless opening and closing of articles. The articles simply snap shut when you’ve finished reading and take you directly back to the homepage. A small circular icon with an “x” at the top lets the reader know how far they’ve progressed in the story, when they’re finished and allows them to close out the story. Additionally, ads are fewer and placed more effectively, so users can enjoy their reading experience rather than tolerate a cluttered page.